One thing that every retailer would love to have for themselves is that the customers keep coming back to their store. Most of all, to WANT to keep coming back. And for that, every retailer has to bring something new for the consumers to stay engaged with the store. Majority of stores nowadays have their own website or online store and the consumers have multiple platforms to shop from; so it is highly important that the retail brand has their presence known on each platform. Click and collect is one of the concept that not only increases sale but also generate traffic in-store. The customer can buy the product online and pick it up from the store anytime. Their presence in the store would mean that they won’t only pick up the product they have already bought but also end up buying other products. Another idea would be to bring the website in-store. This can help a lot if a brand has multiple stores in different locations. Every store does not have the same stock everywhere, so the customer can check beforehand where a specific product is available and directly go there. No one likes long queues. Retail brands nowadays are working hard to keep that under control. One innovative solution to avoid long queues would be to introduce in-app checkout process. The consumer can scan the product’s barcode on the app, pay for them through the app as well and show their receipt to the counter on the way out. Retaitainment is catching up! As the name suggests, it’s a combination of retail and entertainment that should be provided to the consumers. Retail owners have a really good challenge here with introducing tech-driven entertainment that keeps the customer engaged in-store. 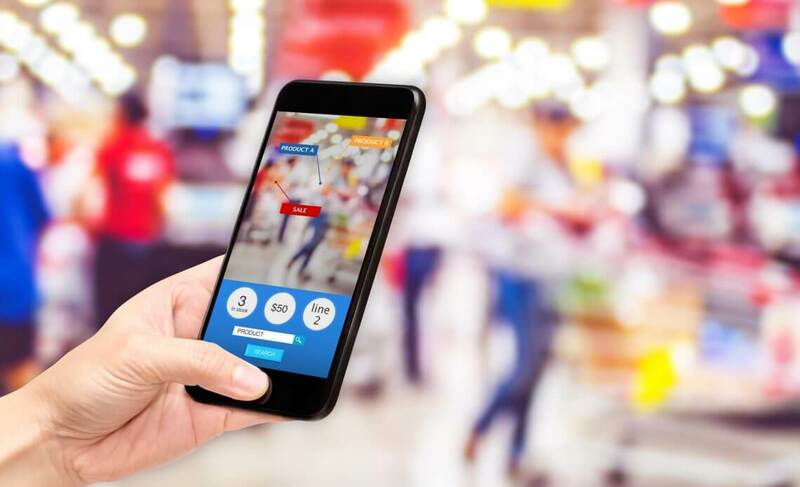 An in-store scavenger hunt with an AR experience through the app not only keeps the excitement but also increase traffic. Or something high-tech that lets the customers put together different outfits on the screen. Retailers are bringing in different tech-driven ideas to provide their consumers with an immersive experience. TOMS, the show company has deployed around a hundred virtual reality headsets in their stores to give their customers a completely different in-store brand experience. TOMS’ virtual reality program takes their consumers to Peru, where they get to see the firm’s charity work in action. Customers want to try out new things in the store and a lot of them take a lot of time making decisions. Retail owners should figure out a way to let them experience the product in-store and that too in a unique way. AR and VR are the perfect tech innovations that not only entertain but also wow the customers. Smart mirrors are one such example that saves time for people waiting for the try room while also letting them try on maximum clothes in less time. It’s time every retail store should innovate with technology in order to generate customer traffic they want. A mixture of technology and entertain is a solution they have all been looking for and its about time the retail made good use of it.